If you’re like me, you look forward to seeing all the new bows released every year. 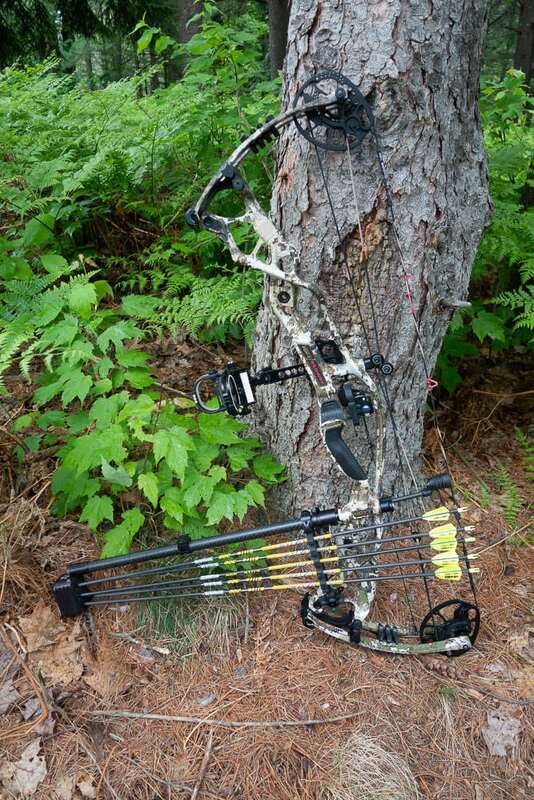 It seems there is new technology and improvements that make the bows better with every new line up. 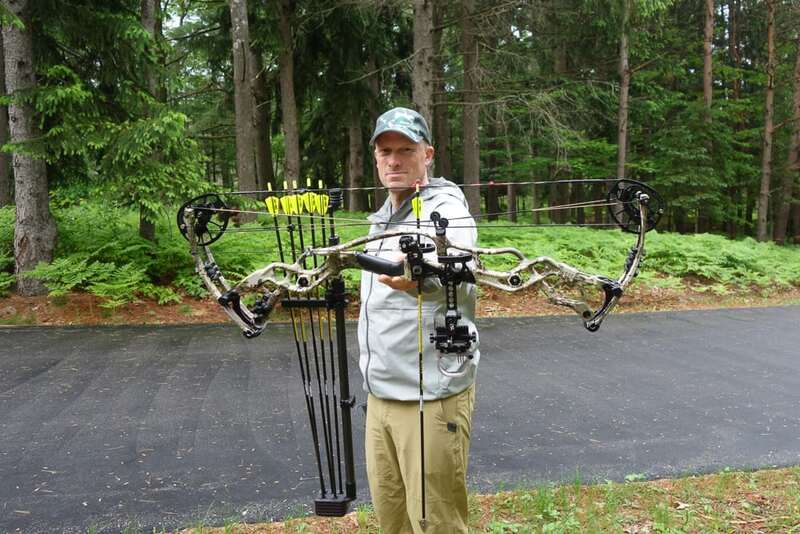 Hoyt’s 2018 release of the REDWRX Carbon RX-1 series bows is no different. I will go over the details of the Carbon RX-1 Ultra and how it has performed for me. The Carbon RX-1 is available in three configurations to suit different archer’s needs. A 32” axle-to-axle RX-1 that features a 6” brace height and an IBO speed of 340fps. A 32” axle-to-axle performance driven Turbo model that features slightly different Turbo ZT cam and 5 7/8” brace height to achieve impressive IBO speed of 350fps. Lastly, there is the 35” axle-to-axle RX-1 Ultra that has a 6” brace height and an IBO speed of 330fps. I chose the Ultra for my review. All come in different cam sizes to suit shooters with different draw lengths, the Ultra I tested has a range from 25 ½” to 29”. The three models wear the REDWRX badge from HOYT, so any of the three could be considered their flagship bow. At the core of the Ultra is the Helical Flex Tune Carbon riser. Hoyt claims the hollow core carbon riser has the greatest strength-to-weight of any riser ever made. 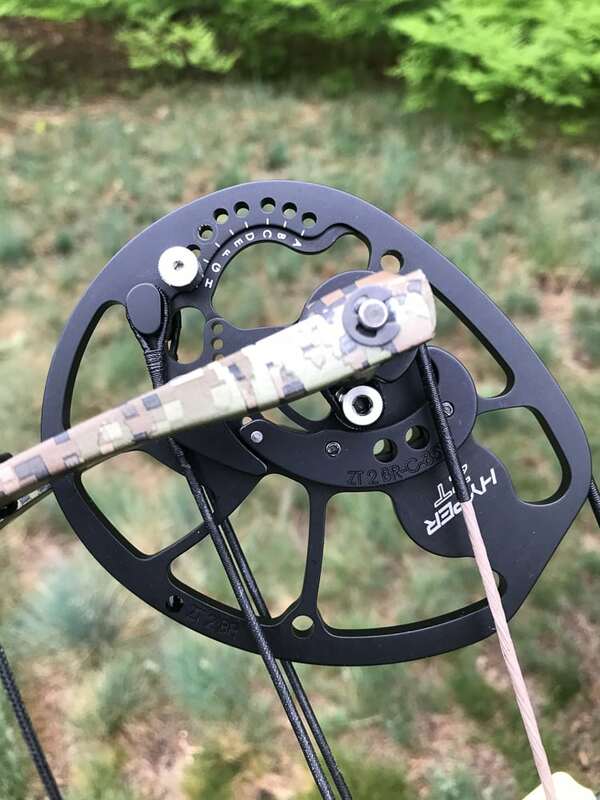 Hoyt offers several different finish options that include camo patterns from Sitka, KUIU, Under Armour, Realtree, and the super durable Buckskin and Blackout. What I can tell you is the bow has a feel that is unlike any aluminum riser bow. If you have not shot a carbon bow, you need to. 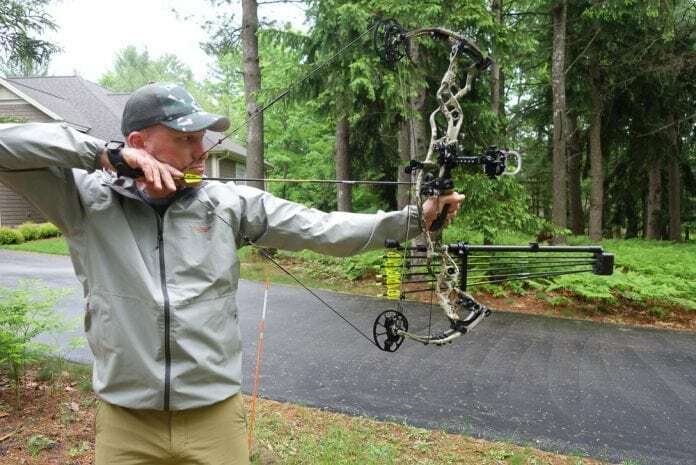 Along with being very lightweight and durable, the carbon is warm to the touch, quiet when something bumps the riser and has a dampening feel that you can’t get from an aluminum bow. The new for 2018 ZT (Zero Torque) Hyper cam is engineered to create a balanced side-to-side load along with the new split cable system. This new cam system eliminated the need for a flexible cable rod and with less cable induced torque there is also less lateral nock travel. There is also a flatter string angle achieved at full draw with the ZT Hyper due to where the string comes off the cam when fully rolled over. This makes the bow feel longer axle-to-axle than it actually is. A handy feature is the ability to change draw lengths without the need for a bow press or additional length specific modules. Just a few screws loosened and a module rotated and it’s done. The Ultra is available with 85%, 80% or 75% let off. What I like about the new cam is how easy it tuned up and how smooth it draws and shoots. At full draw, the back wall is solid but still offers a slight amount of give without being spongy. There are no big humps in the draw cycle and no dump into the valley, everything is smooth from start to finish. The Quadflex limbs and Bi-Ax limb pocket system are new for 2018 and are designed to increase torsional stability and consistency over previous limbs. 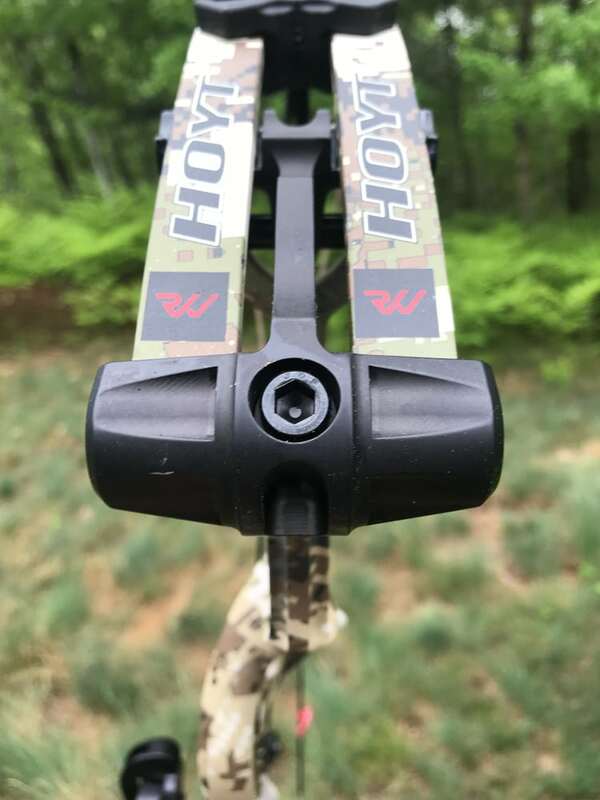 All Hoyt’s go through a dry-fire torture test and a one-million draw cycle test at the factory to make sure they will hold up in the field under any stress. One of the first things I noticed is the lower limbs and limb pocket is wider than the top. This has to do with keeping the bow balanced. 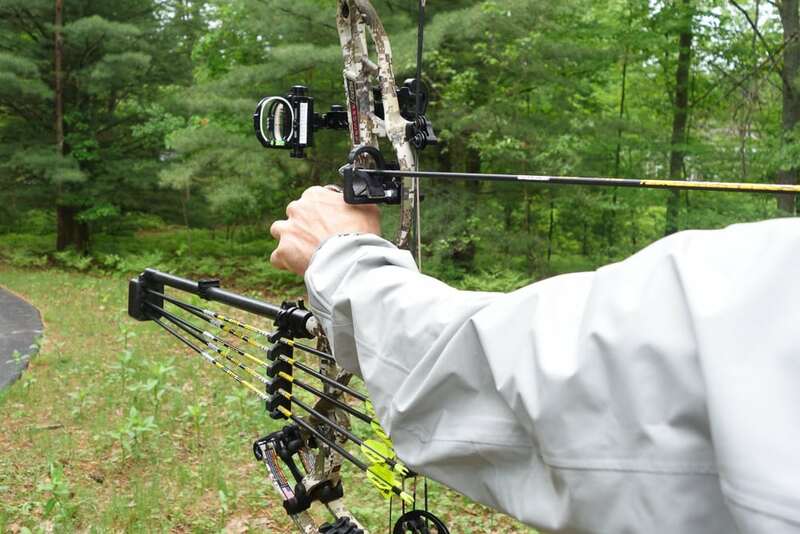 Because the grip position was lowered this year to get the arrow closer to the true center of the bow, the asymmetrical design of the limbs and pockets keep the center of mass at the grip. What I can tell you is my arrow flight has never been better and it was achieved with a minimal amount of tuning to get that perfect flight. No fishtailing or porpoising, just laser-like arrows down range. Sometimes the simplest changes have the most dramatic effect. 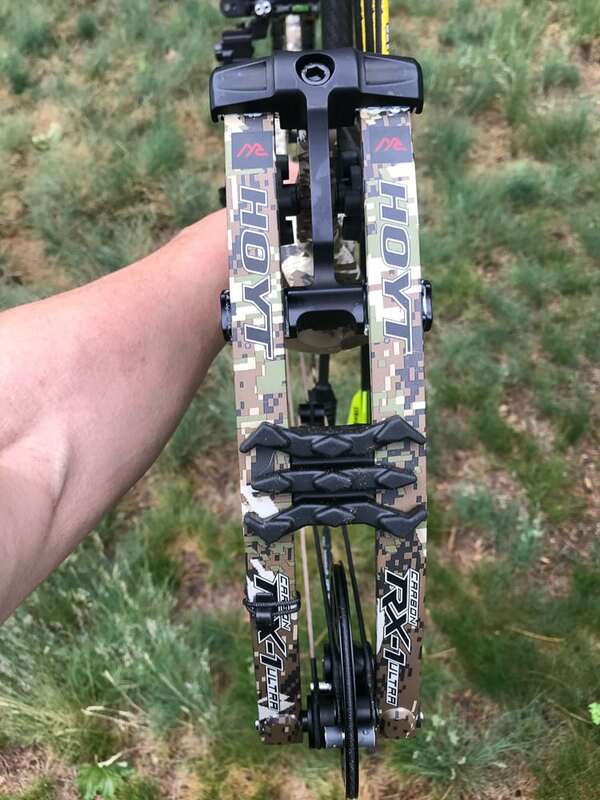 The new X-ACT grip on the REDWRX bows for 2018 is redesigned to help the shooter maintain more consistent and proper hand placement shot after shot. The smaller, slimmer, flatter feeling grip is a welcome improvement in my book and will be staying on the bow. Other features on the RX-1 Ultra include a new Shock Pod Vibration Damping System to help with sound and vibration. Limb Shox on each limb help with noise. A new rear stabilizer mounting location next to the string stop for those that like to run a back stabilizing bar. 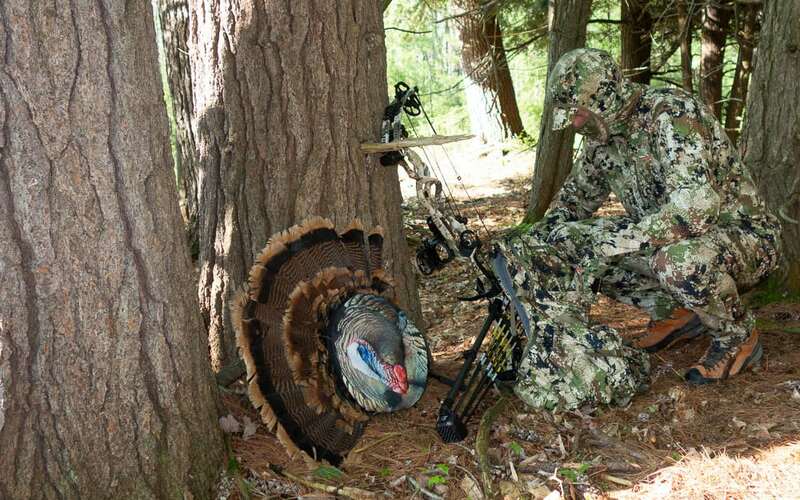 Also the front stabilizer location is offset ¾” to help counter balance the sight, quiver and rest weight. 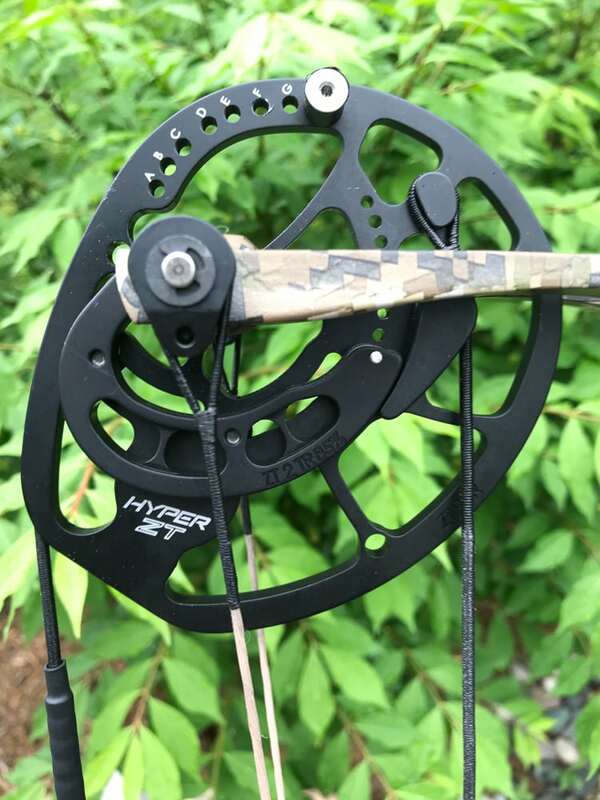 Each Hoyt comes with a high quality FUSE string and cable set. The Ultra was a breeze to set up and get tuned. 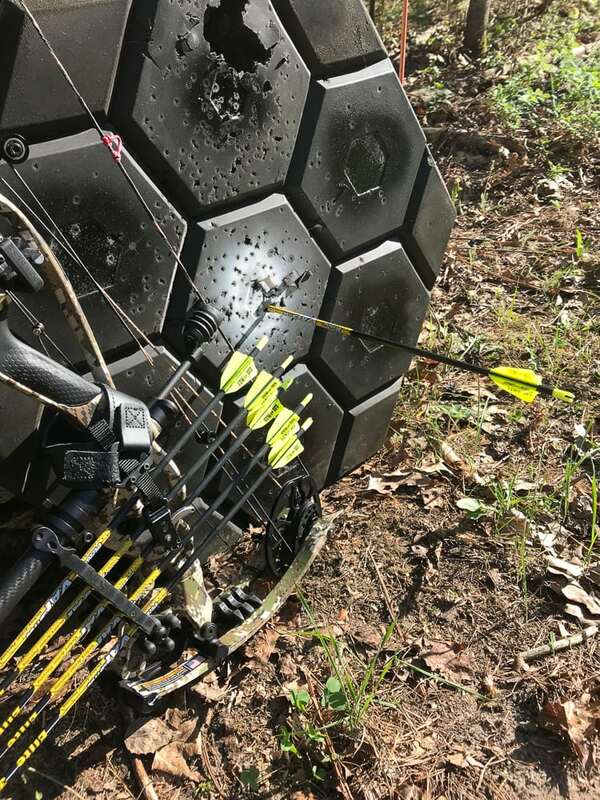 It didn’t take long and I was grouping Ironwill Broadheads at long range into my Matrix target right with my field points. Center shot on the rest worked out to be 13/16” with the top cam running parallel with the string. This is the first bow that I have had zero top cam lean at brace to get good arrow flight. I ran the center of the arrow through the center of the berger hole and never had to adjust the rest from level. I am running the cam stops where they both hit the cables simultaneously. There appears to be more clearance from the cables with the new no flexing cable guard so archers that like to run higher profile vanes will have more room to do so without clearance issues. 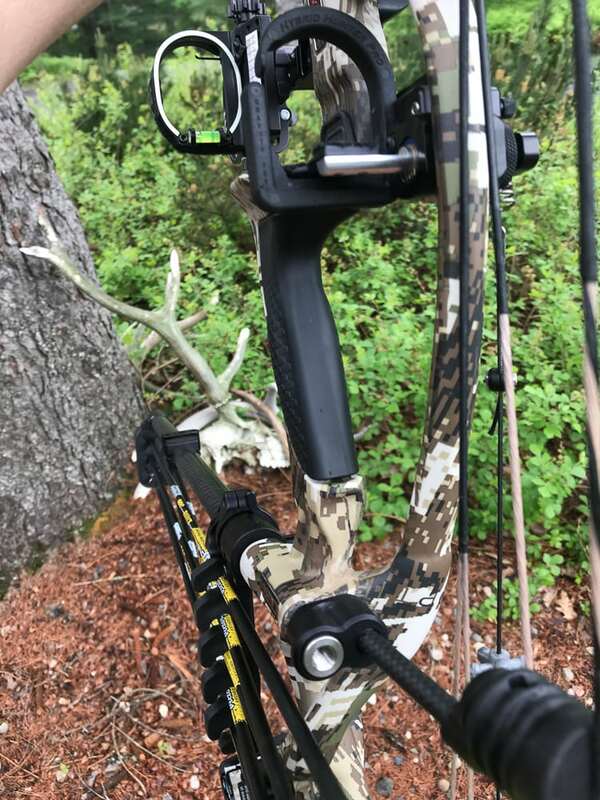 Once I had the bow loaded up with all my accessories (Hamskea rest, Option Archery Quivalizer and Option 8 sight) there is really zero hand shock or vibration at shot. The bow balances very well in hand and I am really liking the lowered grip position. For more details of the build process you can follow along as I set up the Hoyt Carbon RX-1 Ultra on our Rokslide YouTube page from start to finish. I will continue to update with more videos through summer and fall of 2018. 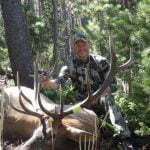 There is something to be said for sticking with what works but when it comes to improving my effectiveness as a shooter and ultimately as a hunter, I am all about keeping up with the cutting edge technology that we see from manufacturers like HOYT. The REDWRX Carbon RX-1 Ultra is an improvement over every bow I have owned and I look forward to trusting it on my hunts this fall. 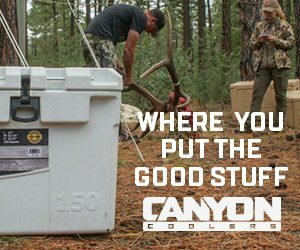 Whether you are hunting the high alpine basins in the Rockies or sitting in a tree over a pinch point in the Midwest, there is an RX-1 built to suit your needs. Go shoot all three models and see what you like best!